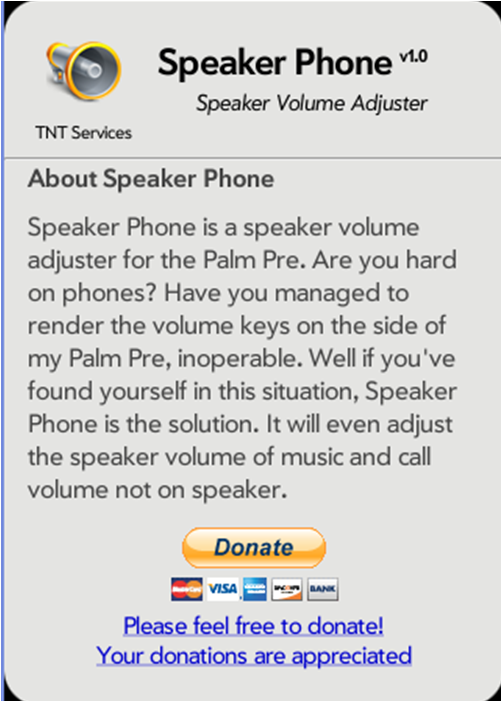 Speaker Phone is a speaker volume adjuster for the Palm Pre. Are you hard on phones? Have you managed to render the volume keys on the side of my Palm Pre, inoperable. Well if you've found yourself in this situation, Speaker Phone is the solution. 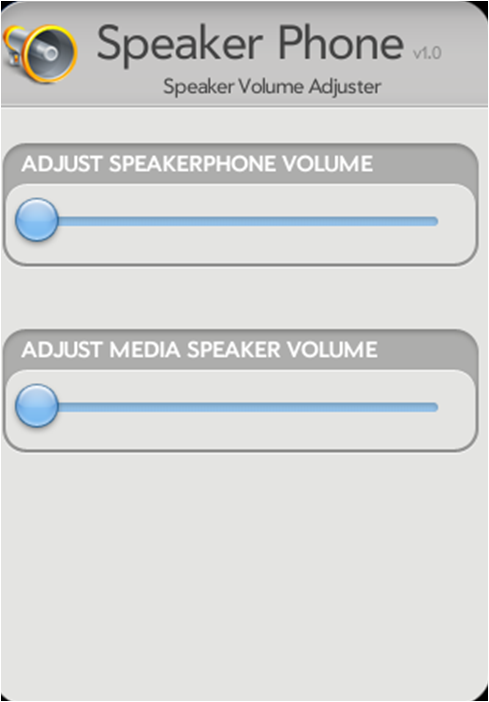 It will even adjust the speaker volume of music and call volume not on speaker.